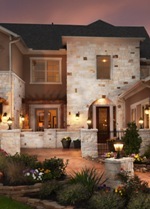 Make your home warm and inviting with perfectly placed ambient lighting inside and out. The right lighting makes your home inviting. To welcome holiday guests, make sure your exterior lights have the proper light level and color temperature. Redirect floodlights so that they do not shine directly into visitors’ faces. Add lighting in trees to softly bathe the area in a warm glow. Accent focal points around your home to to provide a nice splash of light or contrast of color. Consider switching to outdoor-rated fixtures that use LEDs for better lamp life and energy savings. Visit an ALA-member store for more lighting ideas. Add drama with color-changing lights above a nook or bar area. Newer LED lights can add custom color to complement a specific mood. Illuminate corners. Make your space feel larger by placing spotlights in dark corners. Use dimmers to create your perfect look by allowing general lighting to play a supporting role, particularly in a small conversation area. Update your powder room. 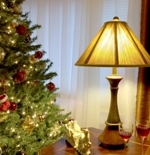 A few extra touches, such as a portable lamp with a festive shade will make an impact. As you decorate your home for the holidays, consider adding portable lamps in various places to highlight your festive décor. 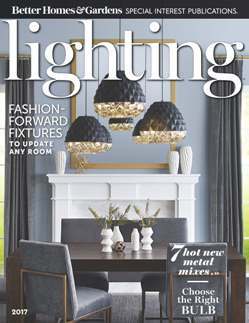 Find more home lighting tips from ALA online. 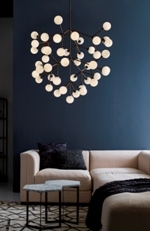 Does a light fixture for a round table have to be round? My kitchen, dining room and living room are open concepts. Do all the fixtures have to match or can they be in the same finish in different styles? The most important fact related to your question is that these types of issues are ultimately very individual and personal decisions, and there is no one or absolute answer. Most designers will tell you that either a square or round fixture is appropriate over a round table as long as it matches the general style and finish of the overall design concept in your space. In today’s design climate, it is very appropriate to mix and match styles and finishes. It would be a good idea to take a photo of your space to an ALA-member lighting showroom where they have trained lighting consultants to discuss your options and help you choose the best fixtures for your home. Find perfect lighting for your home at an ALA-member showroom.